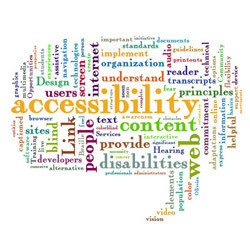 Web accessibility means that people with disabilities can use the Web. A website that is accessible allows people to perceive, understand, navigate, and interact with the Web, as well as contribute to the Web. Web accessibility also older people with changing abilities due to aging. It is our policy that all library patrons will have full access to our library . Assistive technology will be used when needed to meet each student's needs . Accessibility to physical space, materials and print materials will provided for student's needs. Our library will provide appropriate wheelchair access, as well as assistive technology that includes computer software and hardware. It is our intent to meet the diverse set of needs of our students! Our library supports the principle of intellectual freedom inherent to First Amendment to the United States Constitution as expressed in official associations. From time to time, certain materials in the library media center’s collection might be questioned or challenged. Even though a specific process was used in selecting the item, there are patrons that find offense to some materials. In order for intellectual freedom to be considered, a process is in place to address the challenged material. The policy and procedures will address what needs to take place in the reevaluation procedure of the material and the channels that it needs to go through.